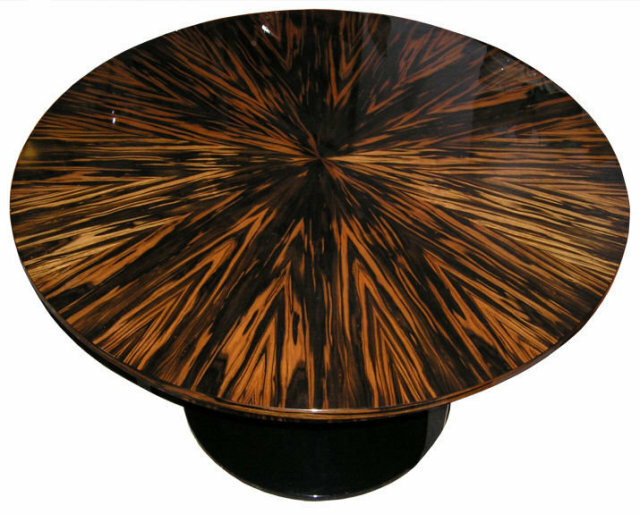 This circular pedestal table would make a fine dining table or center table in a large foyer or room. It measures 60" in diameter and is 32" high. It is believed to be less than five or ten years old and is in mint condition. Top surface features dramatic macassar veneer in triangular spokes. 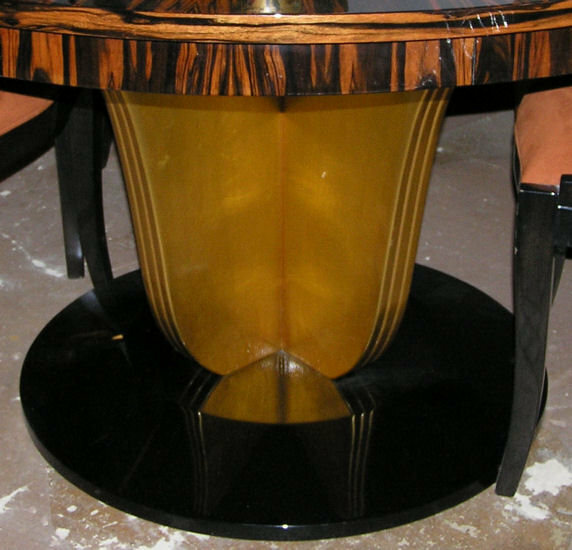 Its golden lacquered pedestal has four ribbed sides and rests upon a round black lacquered base. There are no deep scratches on any surface and no noticeable dings or dents. This table was recently purchased at a house sale and its origins are unknown. Six black lacquered chairs (seen in our second image) are available separately. We have found no hallmarks of any kind. 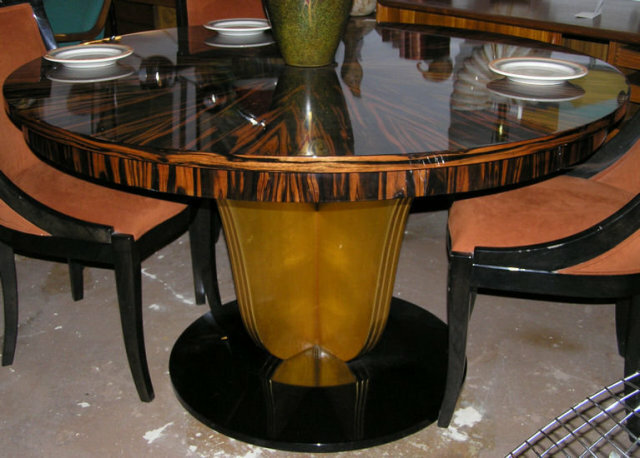 This table resides with our client on the Upper West Side of Manhattan ( New York City ) and may be seen by appointment. Thanks for visiting. Please let us know if you have any questions or comments. 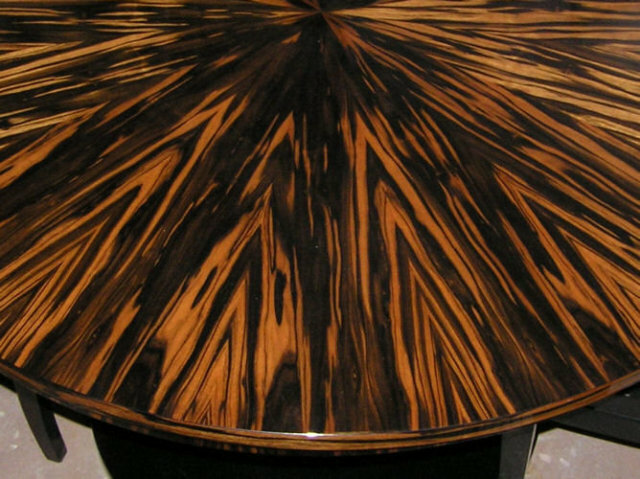 Items Similar To "Macassar Round Center or Dining Table"